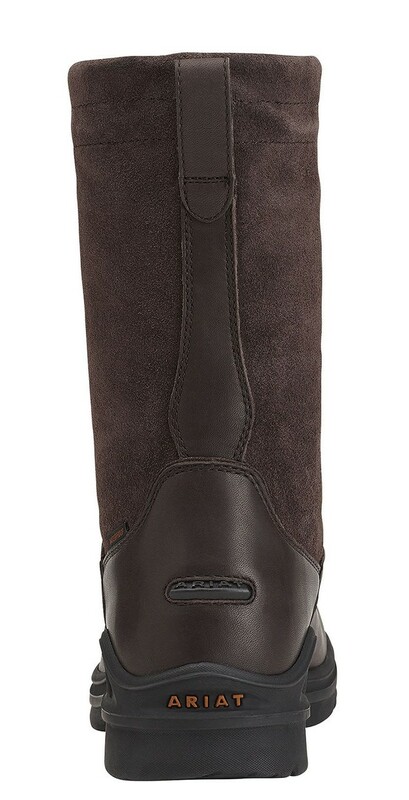 I was looking for boots I can use around the stable that are waterproof for the longest time! 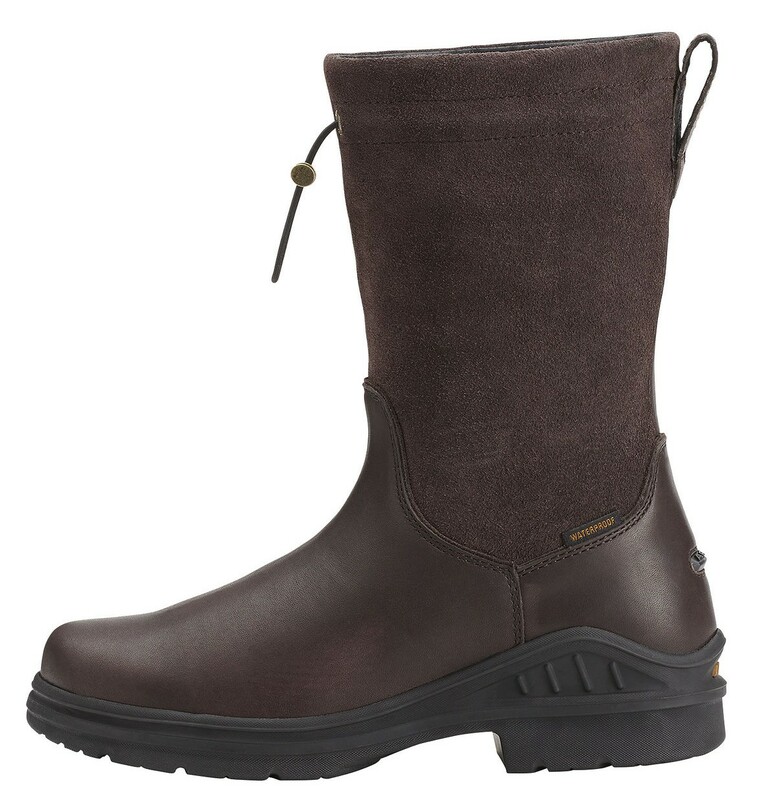 I was using the Ariat Heritage III (reviewed) but they are not waterproof. 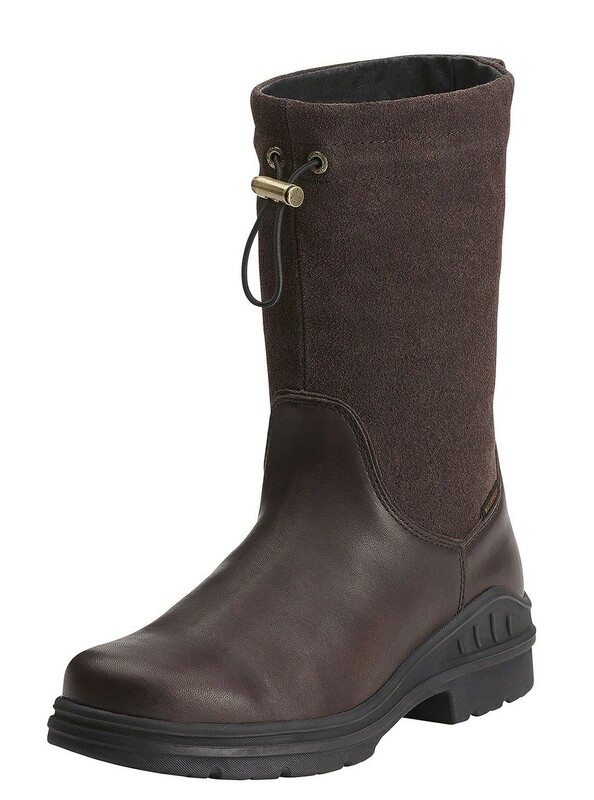 I came across the Ariat Barnyard Belle H2O that were on sale from Riding Warehouse last year and decided to order them. Ariat gives the traditional barn boot a makeover with the Ariat Barnyard Belle H20 Boot! 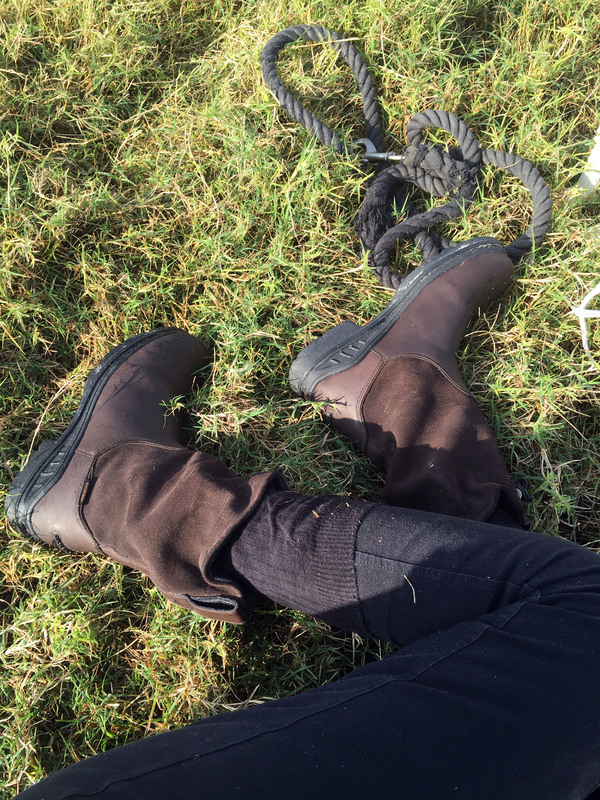 The Barnyard Belle gives every day stable boots a dose of equestrian style while still maintaining comfort and incorporating performance features. Imported. 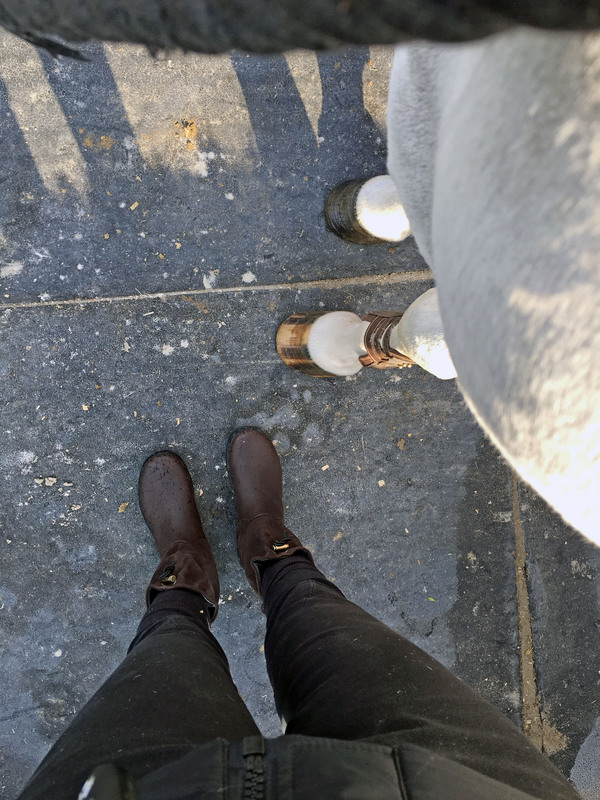 The boots have spur holders and therefore, can be used for riding, however, I do not find them supportive whatsoever for riding and they are too clunky so won’t fit on all stirrups. They are breathable and great for hot days as they are not insulated. The bottom grip is great I don’t slip on wet areas. I do use them around the barn 99% of the time except for riding. I naturally have slim feet so my foot did move on the inside of the boots causing rubs, even though length wise they were good. So, I did have to place insoles in order to avoid my foot from moving. It took about a week to “break them in” with the insoles. Waterproof technology works great in the wet grass and while showering Tofino. Comfort however is only there when I place insoles. The drawcord mechanism is hard to adjust as it is stiff but it does tighten eventually. They do do drop a little and this is with 3 months of use. I hope they don’t go down fully. They are easy to put on and take off as they have a pull on piece. 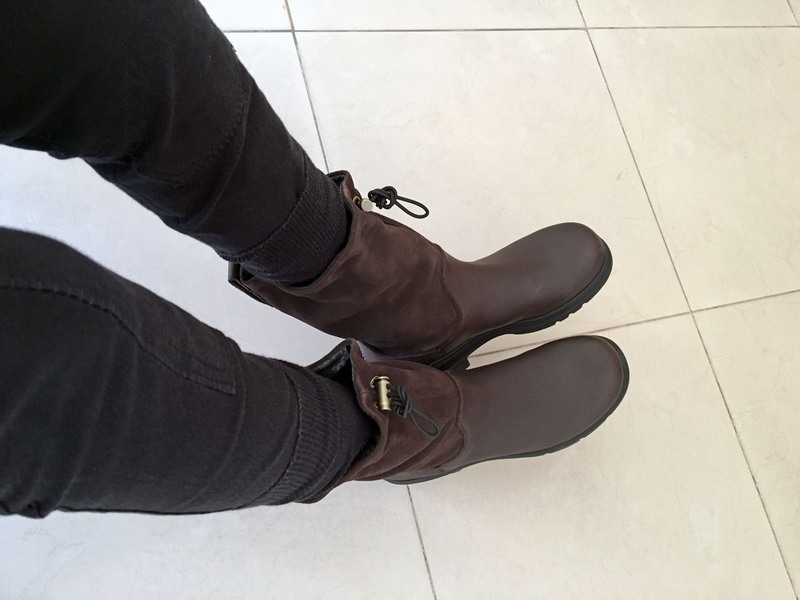 Verdict: For everyday stable boots these are good. 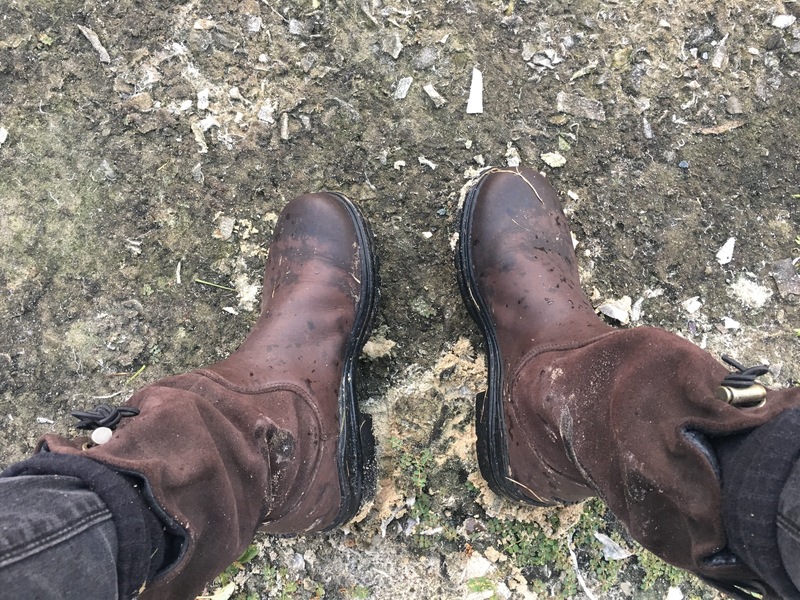 My feet don’t get wet at all and I can walk in the grass, mud, sand, arena without worrying about ruining my boots 🙂 If you’re looking for working barn boots then i would recommend the barnyard belle, HOWEVER, you can just go about wearing regular rain/rubber boots which are cheaper, but with less comfort.